Information: UN Water. Illustration by Sally Hancox (www.sallyhancox.blogspot.com). How much do you really know about the world’s freshwater? Did you know that the amount of freshwater on the planet hasn’t changed for millennia? That wet weather is simply moisture returning to the world’s surface, not new moisture being added to it? That it takes 1,000 gallons of water to produce one gallon of milk? See many more facts and figures below. This page will be updated on a regular basis. 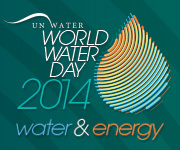 In July 2010 the United Nations declared access to clean water and sanitation a human right. Estimates indicate that about 3.5 planets Earth would be needed to sustain a global population with the current lifestyle of the average European or North American. Global population growth projections of 2–3 billion people over 40 years, combined with changing diets, result in a predicted increase in food demand of 70% by 2050. With expected increases in population, by 2030, food demand is predicted to increase by 50% (70% by 2050) (Bruinsma, 2009), while energy demand from hydropower and other renewable energy resources will rise by 60% (WWAP, 2009). These issues are interconnected — increasing agricultural output, for example, will substantially increase both water and energy consumption, leading to increased competition for water. The daily drinking water requirement per person is 2-4 liters (L), but it takes 2,000 to 5,000 liters of water to produce one person’s daily food. Economic growth and individual wealth are shifting diets from predominantly starch-based to meat and dairy, which require more water. Producing 1 kg of rice requires ~3,500 L of water, 1 kg of beef ~15,000 L, and a cup of coffee ~140 L (Hoekstra and Chapagain, 2008). This dietary shift is the greatest to impact on water consumption over the past 30 years, and is likely to continue well into the middle of the 21st century (FAO, 2006). World Water Council: Daily per capita U.S. water use versus sub-Saharan Africa. Illustration by Sally Hancox (www.sallyhancox.blogspot.com). The water found at the Earth’s surface in lakes, rivers, streams, ponds, and swamps makes up only 0.3% of the world’s fresh water. 68.7% of the freshwater on Earth is trapped in glaciers. 30% of freshwater is in the ground. 1.7% of the world’s water is frozen and therefore unusable. Water makes up between 55-78% of a human’s body weight. Water can dissolve more substances than any other liquid, including sulfuric acid. A 10-meter rise in sea levels due to melting glaciers would flood 25% of the population of the United States. There is more fresh water in the atmosphere than in all of the rivers on the planet combined. If all of the water vapor in the Earth’s atmosphere fell at once, distributed evenly, it would only cover the earth with about an inch of water. Water boils quicker in Denver, Colorado than in New York City. Nearly one-half of the water used by Americans is used for thermoelectric power generation. It takes six and a half years for the average American residence to use the amount of water required to fill an Olympic-sized swimming pool (660,000 gallons). The average faucet flows at a rate of 2 gallons per minute. You can save up to four gallons of water every morning by turning off the faucet while you brush your teeth. A running toilet can waste up to 200 gallons of water per day. The first water pipes in the U.S. were made from wood (bored logs that were charred with fire). An inch of water covering one acre (27,154 gallons) weighs 113 tons. Water vaporizes at 212 degrees F, 100 degrees C.
At 1 drip per second, a faucet can leak 3,000 gallons per year. Info: Water Footprint Network. Illustration by Sally Hancox (www.sallyhancox.blogspot.com). It takes more than 10 gallons of water to produce one slice of bread. 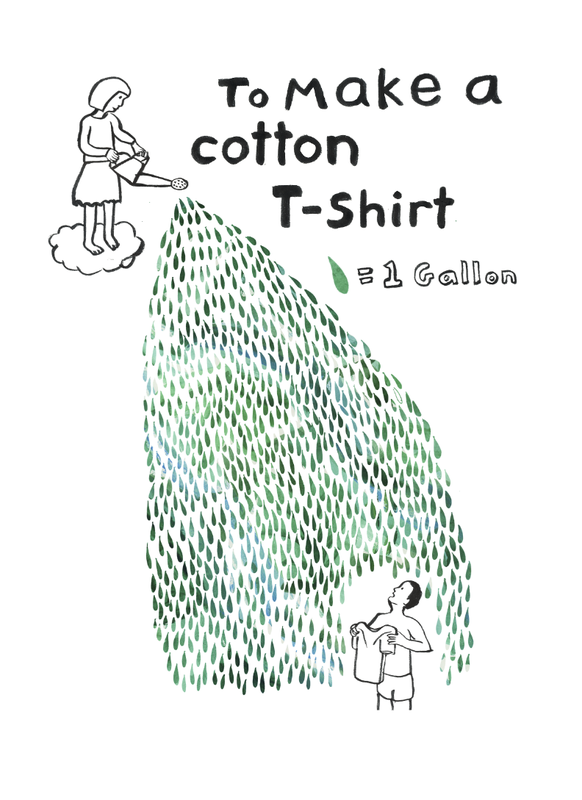 More than 713 gallons of water go into the production of one cotton T-shirt. 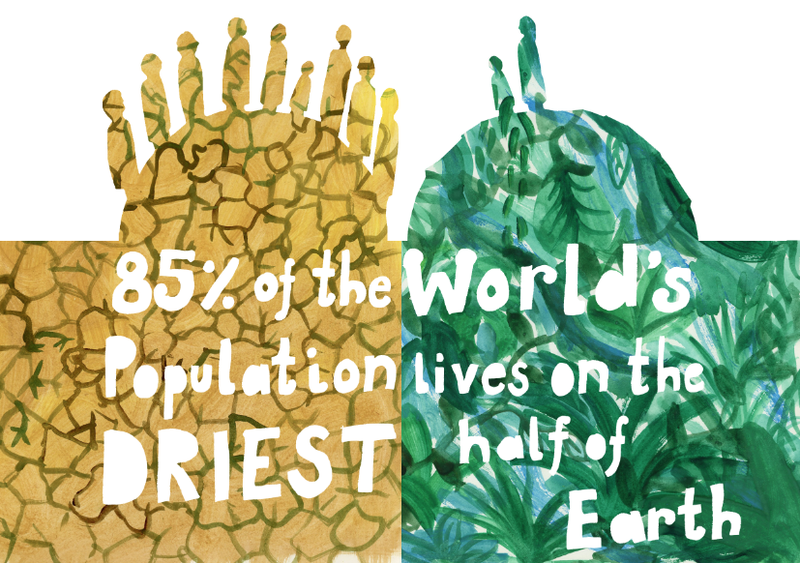 Water scarcity affects more than 2.7 billion people for at least one month each year. At 50 gallons per day, residential Europeans use about half of the water that residential Americans use. 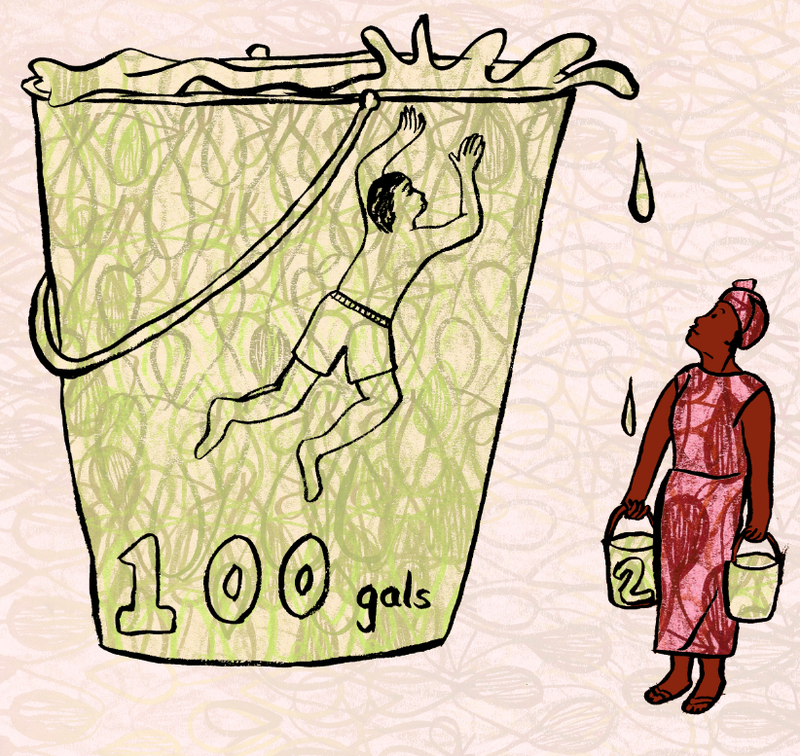 Residents of sub-Saharan Africa use only 2-5 gallons of water per day. Illustrations are by London-based artist Sally Hancox.